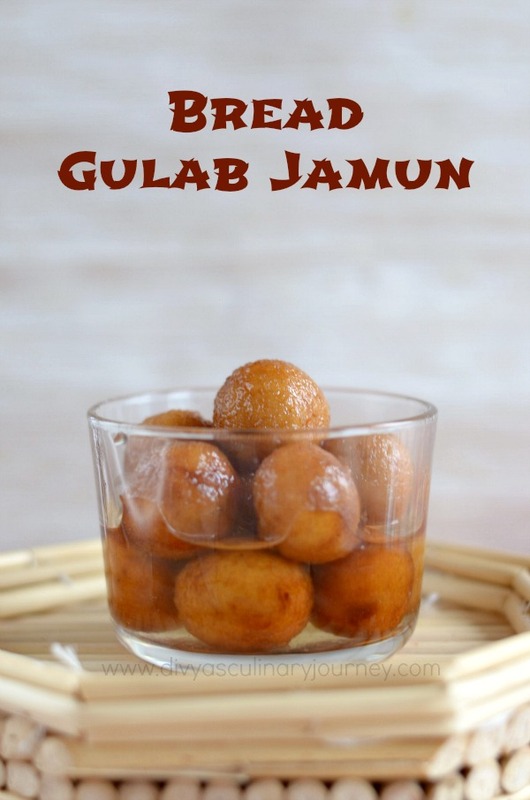 Today I am going to share Bread Jamun recipe, that is Gulab Jamun made using bread. 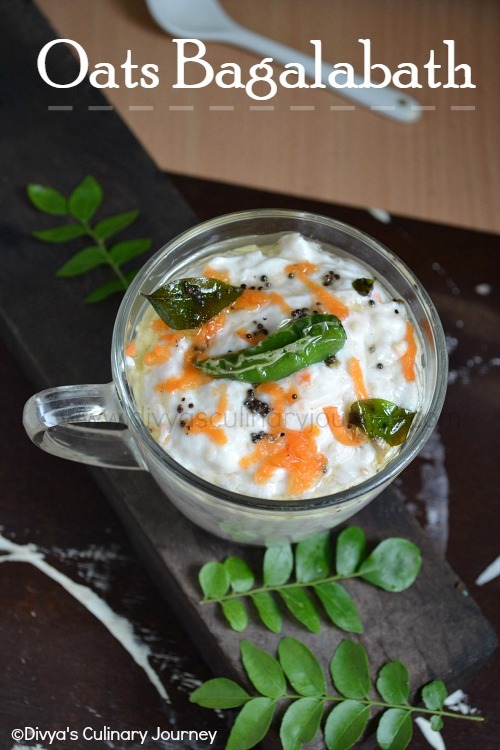 After all the murukku mania, I wanted to post something sweet and easy to make. So Bread Jamun came to my mind. 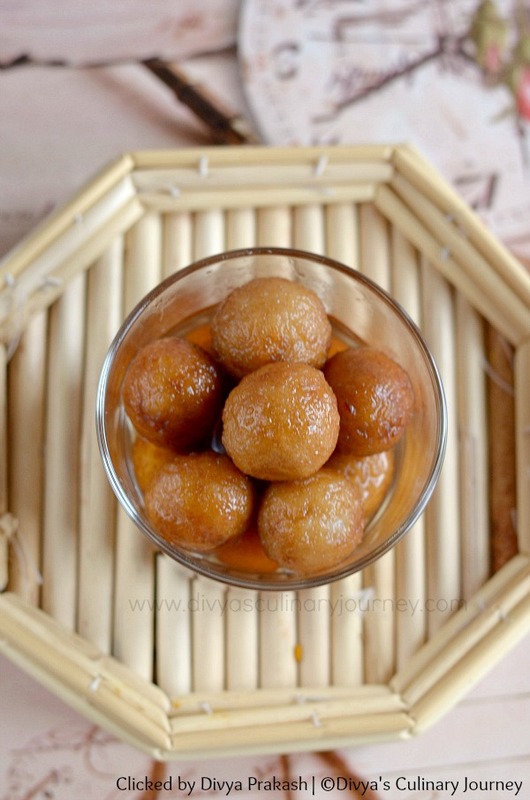 I have already posted Gulab Jamun made using milk powder. Making Jamuns using bread is very easy and also it is less time consuming. It requires few ingredients only and does not need any special skills. Until you try this, you wont realize how easy is to make this kind of Jamun and also it is tasty. 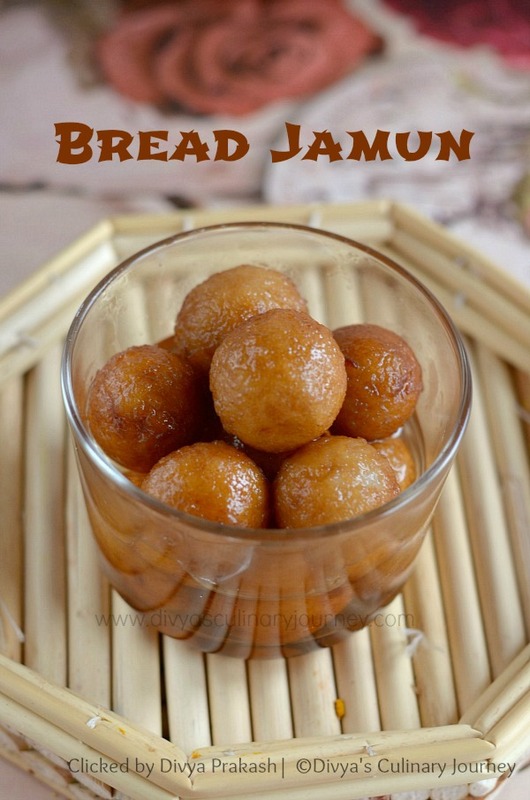 How to make Bread Jamun? Take the bread slices and cut off the crust on the sides. Break them into pieces and transfer them into blender, process/grind them into fine crumbs. Transfer them into a bowl. Add milk little by little and keep kneading till you form a soft dough almost sticky. But take care it shouldn't become very sticky and loose. Then it will be difficult to roll into balls and it will absorb oil while frying as well. Then divide the dough into equal portions and roll them smoothly. Apply oil to your hands, so it will be easy to roll the dough. In the mean while, prepare sugar syrup. In a pot add 1 cup of sugar to 1 cup of water and heat the mixture. First let the sugar dissolve and then let the sugar mixture simmer for about 10-12 minutes till it is almost sticky. Let it cool slightly, then add rose essence and mix well. Now heat oil and deep fry the prepared balls in medium to low heat. Then remove the balls from oil, drain excess oil, if any and immediately transfer them to prepared sugar syrup. Let it soak for at least 2 hours, then you can serve it. Take care not to knead the dough too hard. The other method to make bread balls is you can soak bread in milk, squeeze extra milk, then knead them and roll them into balls. Then the same process can be followed. The number of jamuns you get will depend on the size you make it. For the size I made I got about 20 Jamuns. I once made the dough too stiff. Then the balls came out good but it didn't soak up any sugar syrup. Also if too loose, it is going to be too soggy and break. The temperature of oil is very important. Fry in medium to low heat, so that it browns evenly and cooks thoroughly. If the temperature is high it is going to brown fast and will be uncooked in the centre. I like to add Rose essence to the sugar syrup. You can add cardamom powder too. But do not add the cardamom as whole. It will be unpleasant if we get to bite the seeds. 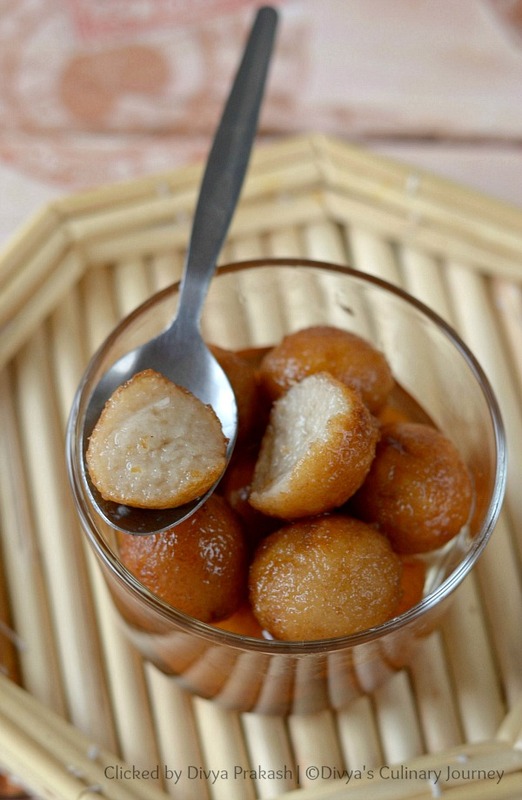 Make sure the syrup is warm and add the warm jamun balls, removed from oil after draining excess oil. If interested, do check out the Collection of Diwali Sweets and Snacks.